This event takes place on 10th September. Below is the Food Fair Details. 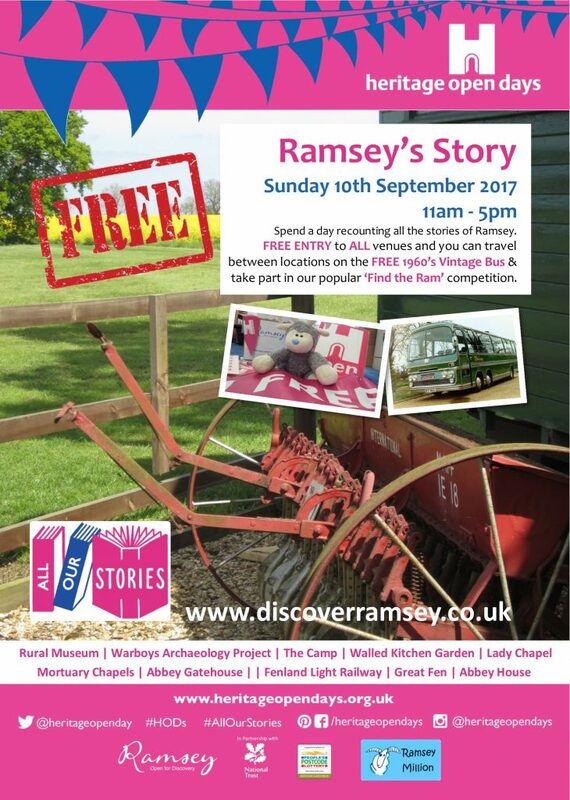 The Ramsey Rural Museum is holding a Food and Craft Fair on Sunday 10th September 2017l. It will be open to the public from 11.00am to 4.00pm and the site will be available to stall holders from 8.30. The date corresponds with the National Heritage Day, with many sites open in Ramsey including the museum. It will be widely advertised by the organisers of the heritage day and there will be free transport in a classic coach to all of the sites including to the museum. Experience of a fair on a similar heritage day showed that it increased the footfall to our fair. Small stalls (6 x 2 ft tables), provided by the museum, will be housed in our Historic Barn and, in addition, there will be provision for similar stalls in an open range of marquees off the adjacent courtyard. There will be provision for your own gazebo or van also in the courtyard or nearby. The museum site has adequate free parking. The costs will be £15 for a 6ft table and £20 for a space for your own gazebo or van. I hope that you will be able to join us for this event. If you would like further information please do not hesitate to contact me by e-mail or telephone as detailed below under ‘Contact Details’. If you would like a Application form please use this link.